If you follow bloggers who talk about one of those topics, I'm sure you've heard them talk about the other too. They seem to go hand in hand - if you're not buying anything because you're a minimalist, you've got to be a pretty frugal person too, right? Free Items. Ohhh boy, has this one come up for me lately. When you're on a shopping ban, why would you turn down free anything, am I right?! I've accepted free food, free rides, free samples, free hair care products - which is not at all very minimalist of me. The free food part is, but the free 'stuff' part is not. I came to my senses and gave away the free samples and the rest of the physical things that came my way that I didn't pay for, because I value my empty space more than I value not having to spend money on things I might need some day. In addition to tracking what I'm spending my money on, I'm also tracking anything free that comes my way that I keep, just to see how much I acquire by the end of the year. Should be interesting. My Time. 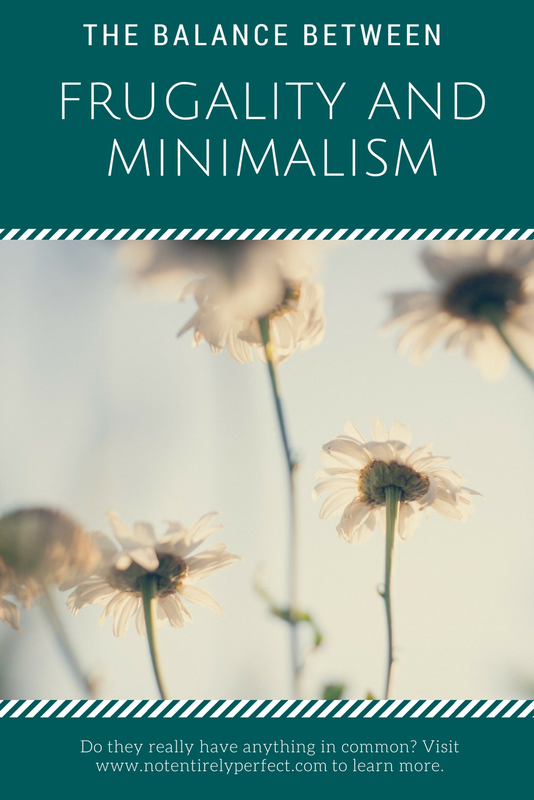 Minimalists value time, frugalists (is that a word?) value money. Not that everyone doesn't value both of those things, but it's about where you place the most value. For me, it's my time. I would save more money if I spent my time hunting for deals or searching thrift stores rather than buying a new item when I need it, of course. But when you're in a profession that charges by the hour, my time is literally money. And I just don't always want to spend it searching for ways to save money. I try to when I can, but when I need to make a choice, my time is worth more to me than my dollars. People have started calling this balance between the two 'intentionalism' but for some reason, I hate that word. I don't know why, I can't put my finger on it, but I just can't stand calling it that. 'Intentional living.' It makes sense, I suppose, I'm just not on board. I have no idea what I do want to call it, because I don't need to label everything. It just is what it is.